An 8000lbs. service/storage lift has four (4) cables, designed to lift a vehicle. When adjusted properly, the four cables share the load equally, and are expected to lift 2000lbs., each. They are typically tested for a “working load” of 2880lbs. ; well beyond the expected weight. However, if a lift is not maintained properly, if cables are not kept in adjustment; then the lift can raise unevenly, placing more weight on any single cable. This is why visually inspecting your lift regularly is so important. Cables stretch from their very first use. This is why it is a good idea to adjust the cables after the first use, necessary after the first week, and regularly after that (every 30-days to 6-months, depending on use). When cables are not maintained, neglected stretching causes the load of the vehicle to be unevenly distributed, putting more strain on a cable’s working load. 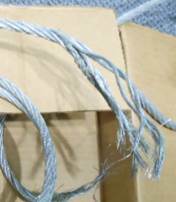 The “breaking load” is also affected: The typical breaking load for the cables on an 8000lbs. storage/service 4-post lift, is around 13,240 lbs. However, when cables stretch or fray, this begins to quickly diminish. Further, stretched cables loosen, causing wear on other moving parts, such as the pulleys and shafts. Loose cables rub and wear which also weakens and shortens their lifespan. If you work beneath a lift, or store a prized vehicle on one; the risk of not maintaining your cables simply isn’t worth it. All lift cables have a “Working” and “Breaking” load. The “working load” is what it is expected to lift. The “breaking load” is where the cable reaches the limit of its endurance, and breaks: This can be due to weight, strain or age. All cables stretch over time. When cables stretch, weight, and therefore the working load, is redistributed unequally, creating greater strain. When cables stretch, the breaking load is diminished. Stretched cables “loosen”, and loose cables cause wear and tear on other moving parts such as pulleys and shafts, shortening their lifespan, as well. Cables are not intended to hold the vehicle for extended periods; vehicles are always to be stored or serviced on the safety locking mechanisms to provide a solid platform. Cables should be visually inspected daily, and should never go longer than 6-months without readjustment. Cables should be replaced every 4-5 years. 1] Give the lift a quick once-over before using it each day. Check for any obvious leaks, or defects. Inspect cables, hoses and chains for any sign of wear. 2] Verify lift is operating properly, raising levelly and all locking mechanisms for the arms and carriages are working. 1] Lubricate all chain rollers and cable pulleys. Grease the carriage tracks inside the towers. 2] Check all nuts and bolts; tighten where necessary. 3] After the first week, check cable tension and adjust as necessary. Check every 6 months after. 1] Check and lubricate all safety mechanisms; ensure they are in proper working order. Replace any worn or defective parts. 2] Check and tighten anchor bolts as necessary. 3] Inspect all moving parts; replace any worn or defective parts. 1] Lift cables normally require replacement every four to five years. 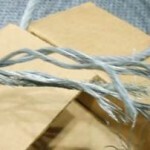 2] Lift cables should be replaced if you see three or more broken wires in one strand. 3] Replace the cables if you see: corrosion or rusting on the wires or ends, kinking, crushed areas, cutting, spreading, a cable core protruding, or any other abnormality. 4] If any cable defects are found the lift should be shut down immediately until the defective cable(s) have been replaced. 5] Cables and other lift parts should be kept free of corrosive agents, solvents, and road salt. If such agents are spilled or splashed on any lift component, immediately rinse and wipe down with a clean rag. Spray cables every three months with Penetrating Oil and wipe down. Failure to keep cables free of corrosive agents will lead to reduced service life, cable failure, etc. which could result in property damage and/or personal injury. How thick does the concrete have be, and what kind of fasteners is used to install the lift? It depends the capacity lift on the thickness of the concrete. It comes with anchor bolts to secure the lift.